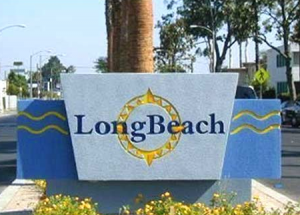 Sav-On-Signs, Inc. was founded in 1981 by Jane Kelleher, offering custom printed signs to the business community of Long Beach. Clients responded favorably to the product quality and service, asking for assistance with other types of sign projects. The company expanded as a result. Today, Sav-On-Signs, Inc. is a full service sign company providing custom sign solutions for clients throughout Los Angeles and Orange County from concept to completion. Our Commitment to Service means gaining a clear understanding of your signage objectives and budget and creating sign designs to match these criteria. We site survey the signage location, navigate the permitting process, and offer engineering services to comply with municipal codes and insure sign durability. We fabricate, install and maintain your new signage and offer L.E.D. retrofit/conversions of older neon/fluorescent powered signs.We offer a wide range of exterior and interior signs: face-lit channel letters, reverse and double illuminated, monument and pylon signs, routed metal and flex faces, custom designed signs, push thru lettering, building letters of metals and plastics, historical sign restoration, and ADA-compliant, wayfinding signage. We engage in public (prevailing wage) projects by working with general contractors, architects and owners to build and install signage to specifications for schools, universities, libraries, community centers and other public buildings. We work on private projects for Southern California-area business owners, general contractors, architects, consultants and property owners, looking to design, fabricate or install signage for healthcare facilities, clinics and hospitals, franchises, corporate offices, property management companies, community service organizations, refineries and refinery support organizations, charities, houses of worship, restaurants, agricultural firms, and retail businesses. We welcome your call or email to discuss a sign solution for your next project! A certified WBE, SBE, DBE and HUD Section 3 Corporation. Copyright ©Sav-On-Signs, Inc.. All rights reserved.